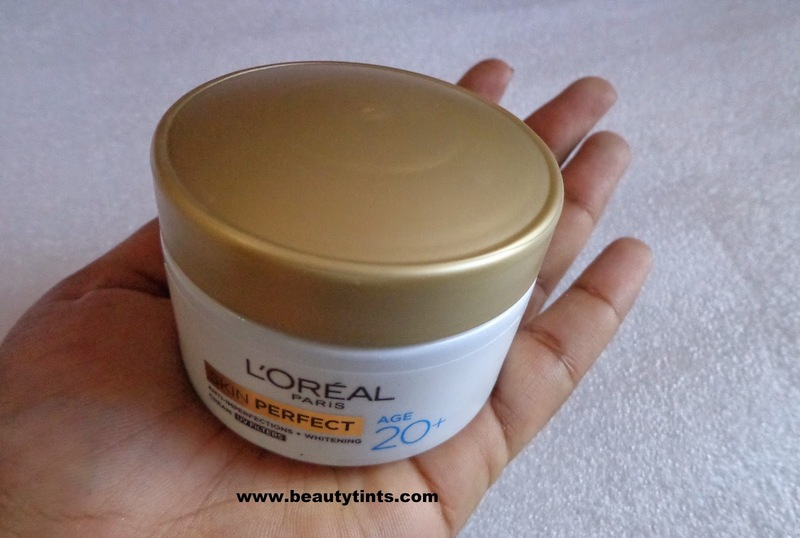 Today I am reviewing the L'Oreal Paris Anti Imperfections Plus Whitening Cream for 20+,for which I did a first impressions post few days back.I have been using this cream for quite some time now and so wanted to share my experience with you all.I have used many day creams till date and I can say that this is the best cream which I have used so far.From the first day of usage itself,I fell in love with this cream.This gets absorbed easily into the skin , gives a good matte finish ,controls oil on the face for a very long time and keeps it fresh all day!!! 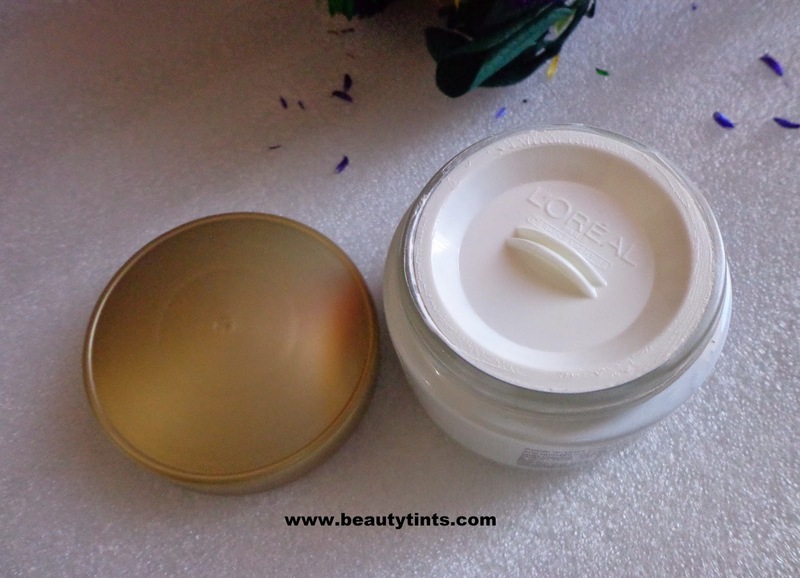 Packaging : It comes in a cute glass jar with a screw cap and an inner lid for extra protection within an outer carton. 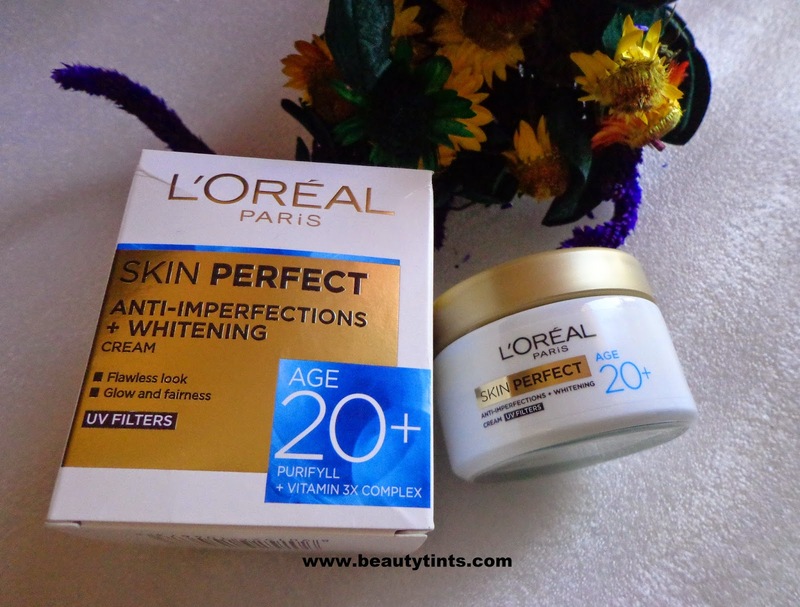 What the product Claims :This range consists of a Anti-Imperfections+ Whitening Cream and a facial foam. 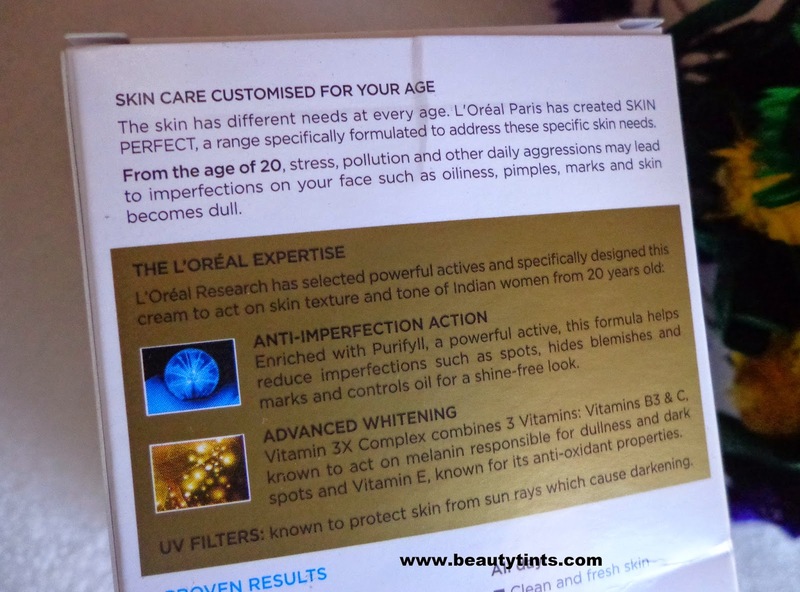 This cream is enriched with a powerful active Purifyll,which helps in reducing the imperfections such as spots,hides blemishes and marks,controlls oil for a shine-free look.It also contains Vitamin 3X complex,which is a combination of Vitamin B3 and C,which are known to act on melanin which is responsible for dullness and darkness. 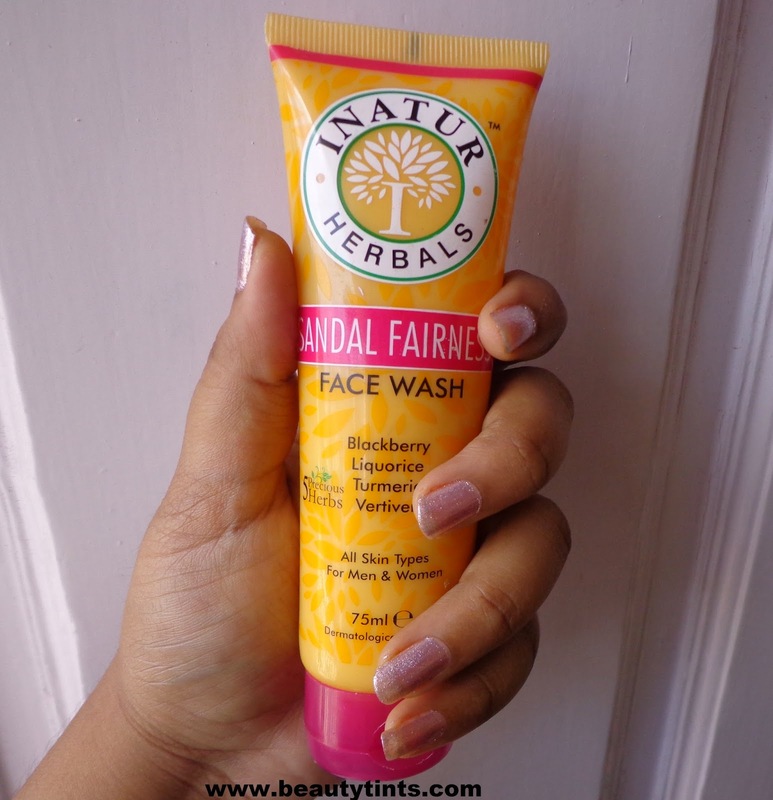 This complex also combines Vitamin E,which is known for its Anti-oxidant properties.This range also contains UV filters to protect skin from sun rays which cause darkening. 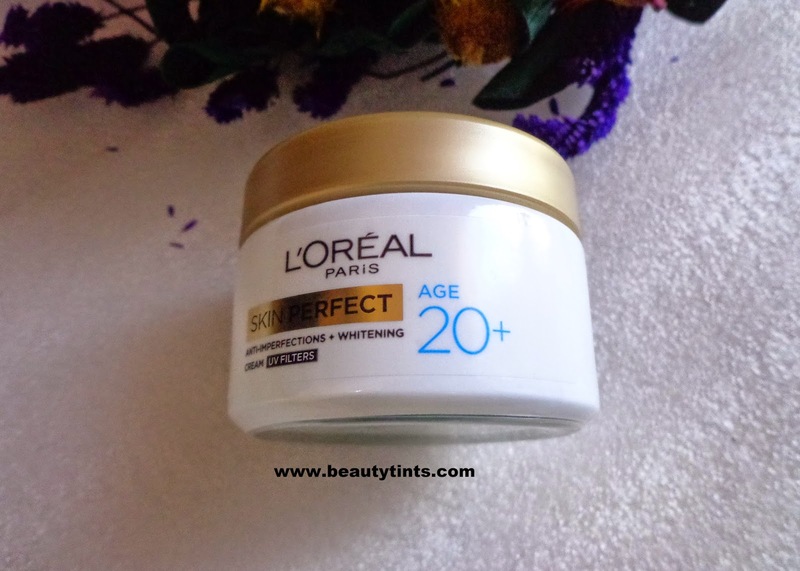 My View On the Product : I am in my mid 20's and so I am using the 20+ cream from the Skin perfect Range. 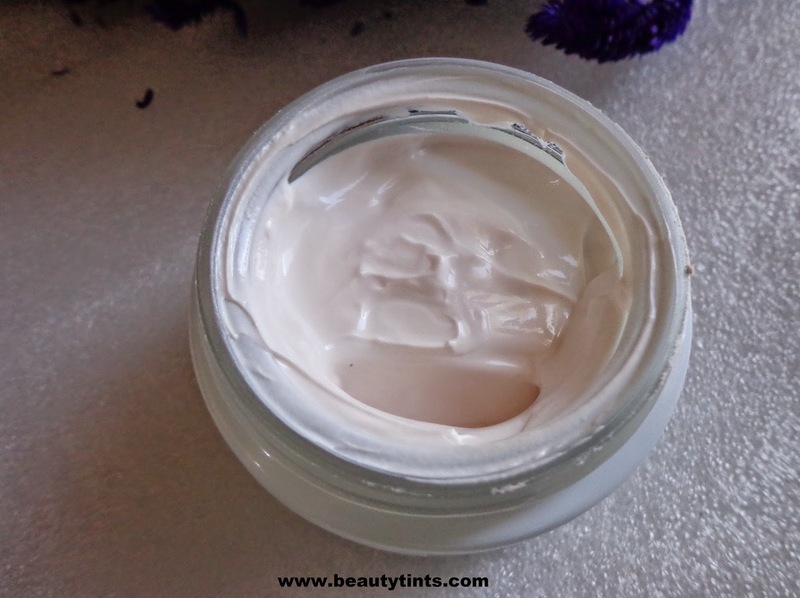 This cream comes in a cute little glass jar with a golden colored screw cap with an inner lid with in a white colored carton with all the required information on it.The cream is soft with a creamy consistency and has a mild floral fragrance which lingers for a while and then disappears.This cream gets absorbed well into the skin with light massaging.Very little is needed every time and it may give a white cast if applied in excess.Immediately after application,it gives a nice matte finish and acts as a good base under makeup.It is super effective in controlling oil on the face especially on the T-zone for more than 7-8 hours even in the hot and humid conditions.It instantly brightens up the face and gives a subtle glow to the face. 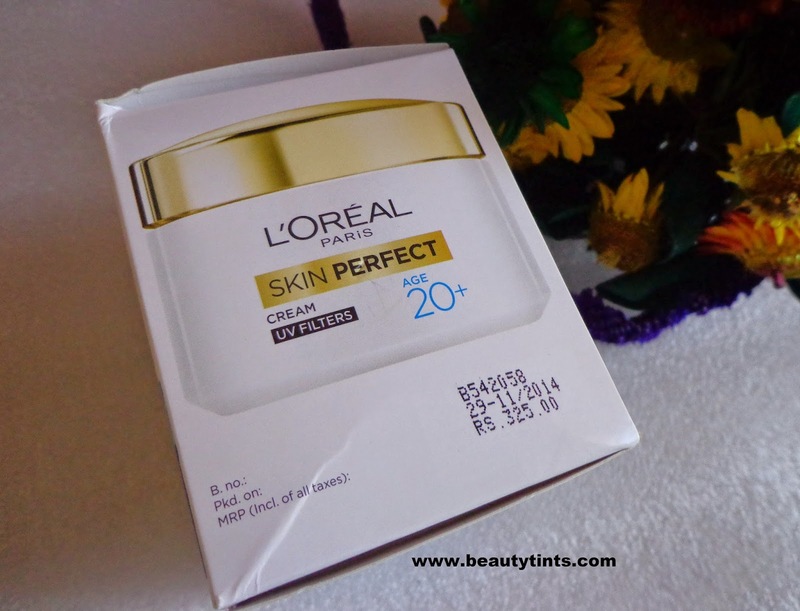 This cream contains UV filters which helps in protecting the skin against harmful sun rays and also prevent skin darkening.This cream lightens the blemishes and spots on the face on continuous usage due to the presence of powerful active called Purifyll as well as the Vitamin 3X complex.It suits oily-combination skin well but dry skin may need extra moisturization. 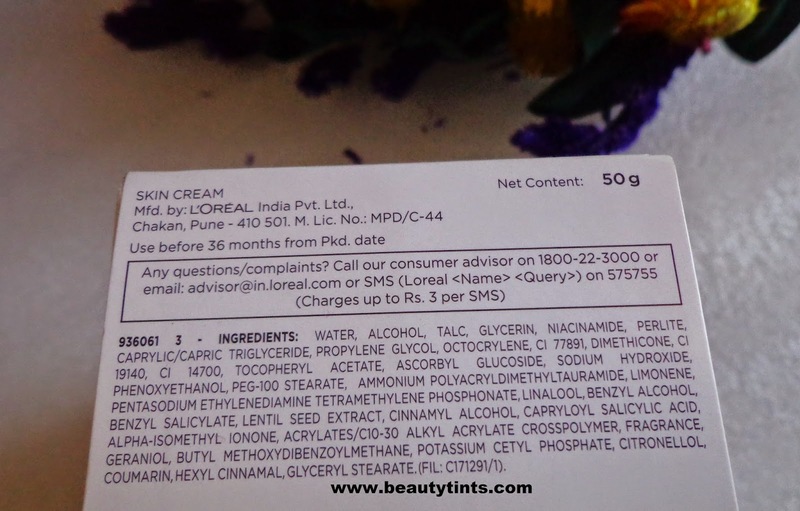 I have seen a bit of improvement in my skin texture in terms of softness after using it for more than 2 weeks.But it needs a little bit more time for it to lighten the 3 stubborn marks on my cheeks caused due to pimples.I will do a separate post on its complete effect on the marks and blemishes after using it for some more time. 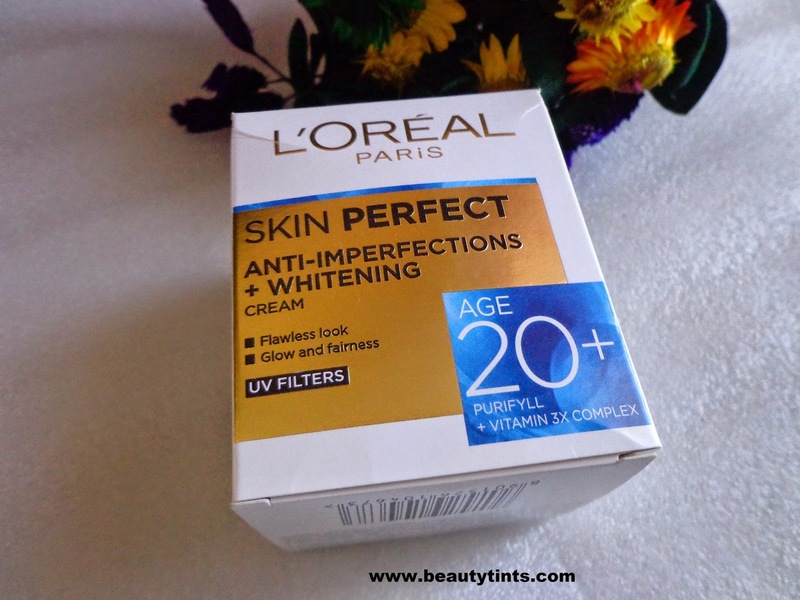 Final Conclusion about L'Oreal Paris Anti Imperfections Plus Whitening Cream for 20+ : Those who are looking for a day cream which gives a nice matte finish without drying out the skin as well as which is effective in controlling oil on the face for longer hours and which contains UV filters should try this cream for sure!!! I highly recommend this to those with oily-combination skin!! !